"The one who states his case first seems right, until the other comes and examines him" (Proverbs 18:17). I attended Kelly T. Scott’s (aka “Brother Scott”) third presentation at Jordan High School on March 12, 2018 with Keith Riley. Keith was supposed to take pictures from outside the auditorium as Aaron Shafovaloff did before. However, this time the doors were closed. An usher told some other guy sitting next to me to stop taking pictures of the presentation. Afterwards, while advertising my lighted JosephLied.com sign to the people exiting the event, Scott drove by and stopped to turn. I was in a meridian right in the middle of the street. It was a perfect place for cars to see my sign. Scott looked at me standing right in front of him but didn’t say anything while his window was rolled up. I yelled, “Hey Kelly; I’m praying for you, but Satan is ripping you off and you need to repent.” He just drove off. This last week, The Salt Lake Tribune came out with an article that identified “Brother Scott” as Kelly Scott. Paul Rolly, the reporter for the Trib, appears to have had a conversation with Scott, and it appears he divulged his first name to Rolly. Recall in my initial meeting with Scott, he wouldn’t divulge his first name to me, since he wanted it to be about the message. On March 14th I received more information about Scott’s fraud charge. Go to brokercheck.finra.org and type in “Kelly Thomas Scott” or his CRD#, which is 2199834. Click on “Disclosures 5/16/07.” Scott is just another conman now applying his craft to the subject of archaeology and the Book of Mormon. Don't be duped! He cannot be trusted. He is simply an amateur wannabe archaeologist, who is distorting the case of the Book of Mormon’s credibility. Unfortunately, just as many Mormons continue to turn a blind eye to Joseph Smith’s peep stone gazing activities prior to him becoming a prophet, so too will they turn a blind eye to Scott’s brokerage fraud, seeing no relation to his current activities. Scott began his so-called “evidences” by rehearsing a famous Mormon argument from Ezekiel 37:15. I have already dealt with this LDS proof-text in responding to Keith Meservy’s Ensign article on the topic. The context of the biblical passage is quite clear what is referred to, however Mormons are not generally interested in it. They are interested in promoting their agenda. The passage is clear that the stick, contrary to what Scott said, is a stick, not a scroll. They are two different Hebrew terms. Scrolls many times have sticks with them, but not always. Numbers 17 talks about sticks like totem poles being representative of different tribes. So the sticks are representative of nations, not scriptures. This Ezekiel chapter as well as the previous chapter make clear that what is being talked about is the reunification of the tribes of Israel in their own land (vs. 14). Ezekiel 37:18 even asks the question wanting to know what is meant by this symbolism of the written sticks. The rest of the passage doesn’t go on to spell out what Mormons take it to be. The rest of the chapter plainly says that the symbolism is talking about reuniting of the different tribes of Israel to be under God in the land of Israel, not America. Mormons are stretching things with no evidence whatsoever to assert their view that the stick of Judah symbolically refers to the Bible in the Eastern Hemisphere and the stick of Joseph symbolically refers to the Book of Mormon in the Western Hemisphere. Scott next pointed to a recent National Geographic article about laser research employing “lidar technology” to show a vast civilization in the Guatemalan forests. The roads and buildings formed by this ancient civilization demonstrated that it was as sophisticated as ancient Greece or China. Scott then quoted the Book of Mormon, which affirmed all this quite a while ago. Mormon 1:7 talks about the land being covered with buildings and the people being as numerous as the sand of the sea. This Book of Mormon passage certainly appears to be a strike against the Heartland theory given its lack of building evidence. Nonetheless, this is far from proving Scott’s Mesoamerican theory to be “highly probable” as he likes to claim. My last couple critiques have made clear that whoever the primary author was for Book of Mormon, both the Bible and View of the Hebrews were used for primary source material. Other material may have been used. Scott wants to paint a picture of the early nineteenth century as one which was practically devoid of any information of the ancient Americas. Such was not the case, but even if it was the case, it would not be difficult for the author of the Book of Mormon to create a Hebrew New World civilization storyline with all that is entailed by it. In the View of the Hebrews quite an elaborate account is given of the civilization that must have existed in Mexico and Central America in ancient times. This summarized largely from Baron Humboldt’s New Spain, published first in Germany, 1808-9 and translated into English by John Black in 1811, and quoted copiously by Ethan Smith in his second edition of the View of the Hebrews, 1825. In these excerpts from Humboldt are descriptions of pyramids, temples, ruined cities, highways; with some speculations as to the resemblance between the Mexican and the Egyptian pyramids. Ethan Smith quotes extensively from the Archaeologia Americana, published at Worcester, Mass., 1820. Some twenty pages are devoted to describing civilization traits as seen in temples, pyramids, and ruined cities. Also keep in mind the Roberts’ quote mentioned in the Session 2 critique: “Let it be remembered that the work from which this is quoted [View of the Hebrews] existed from five to seven years before the publication of the Book of Mormon, and the two editions of the work flooded the New England states and New York” (point 9). Recently, Science Magazine’s Lizzie Wade stated in the lead video for an article on “How a Mormon lawyer transformed archaeology in Mexico—and ended up losing his faith” that when she found out about Mormons making pilgrimages to see Stela 5 and their beliefs of it representing Lehi’s Tree of Life, she “thought that was very strange and really interesting.” She went on to talk about Thomas Stuart Ferguson. He was a Mormon who started the New World Archaeological Foundation and thought his research in Mesoamerica would soon prove the Book of Mormon any day. She said, “That never happened. It hasn’t happened in his lifetime, and it hasn’t happened since.” Ferguson ended up losing his faith, primarily over the Book of Abraham debacle where Joseph Smith screwed the translation up (for the specific problems here, see MormonThink’s article “The Book of Abraham”). For many more problems with Stela 5 being understood as Lehi’s Tree of Life vision, see J. P. Holding’s “Izapa Stela 5 and Mormon Apologetics” (Tekton Apologetics). Scott next quoted a Smithsonian 2012 article that claimed deforestation and climate change precipitated the collapse of the Mayan civilization in the 8th or 9th centuries. He also claimed, “Many other reputable studies done by National Geographic and Universities point to War, Famine, and Disease.” According to Scott, the Book of Mormon amazingly foretells this. Alma 10:22 says, “Yea, and I say unto you that if it were not for the prayers of the righteous, who are now in the land, that ye would even now be visited with utter destruction; yet it would not be by flood, as were the people in the days of Noah, but it would be by famine, and by pestilence, and the sword.” Mosiah 5:3 and Helaman 11:5-6 speak of famine, and Alma 62:35-9 speaks of war causing famine. The dates for these passages are in the first and second centuries BC. There is a specific reference to the people then, not some non-Hebrew civilization like the Mayans in the 8th or 9th century AD. The New World Hebrews in Alma 10 would have been overcome by “famine, pestilence, and the sword” if it were not for the prayers of the righteous. The people in Mosiah, Helaman, and later in Alma 62 experienced these things, but they did not involve “utter destruction” as Alma 10 mentioned. Further, famine, pestilence, and sword were common biblical judgments, which the author of the Book of Mormon incorporated into the storyline. For civilizations to die, chances are good one or more of these elements would have something to do with it. Finally, if these Book of Mormon passages were intended as a prophecy, why not simply identify the Nephite civilization that ended with the Book of Mormon in 421 AD as the referent? After all, allegedly in 6 BC, Samuel the Lamanite clearly prophesies that the Nephites would be wiped out by sword, famine, and pestilence within 400 years unless they repent (Helaman 13:8-10). Why does Scott identify the Mayan civilization as the referent of Alma 10? The answer appears to be because Scott has again begged the question that the Mayans, about a 1,000 years later, were the descendants to the people mentioned in the Book of Mormon. There is absolutely no reason to take this as prophetic of the Mayan civilization. This section is baffling. Historians say there was an archaic period which spanned from 8000 BC to 2000 BC. Scott has made no mention of this period in any of his presentations even though he identifies the Book of Mormon Jaredites in the tail end of that period. Historians claim the pre-classical period spans from 2000 BC to 250 AD. The classical period spans from 250 to 950 AD. The post-classical period spans from 950 to 1539 AD. There is also a contact period with the Spanish from 1511 to 1697 AD. Everything from then to now is regarded as the modern period. The Book of Mormon ends in 421 AD. This includes part of the classical Mayan period, but it obviously doesn’t include the latter periods. I am still not clear what work this is doing for Scott. It is not clear how listing two different groups of people—Mulekites and Lammanites/Nephites—at the same time constitutes two different time periods. This is a chronological chart after all. Also, Scott is not clear as to why he only mentions these Book of Mormon groups while the others are not mentioned in the Book of Mormon. Perhaps there is a good reason, but this is just another area lacking clarity. Finally, understanding the Book of Mormon is not going to help us understand history if the former is a fairy tale with no non-Mormon scholars today affirming the existence of these ancient Hebrew New World people. Scott next demonstrated the recently discovered existence of city-states in Mesoamerican and this corresponds to what the Book of Mormon teaches with Zarahemla, Bountiful, and Nephi. Then he claimed it would take 175 years to validate city-states in the Book of Mormon, so Smith must be the translator and not the author. However, Scott simply confuses recent discoveries establishing city-states with the knowledge we have had of city-states in the area. Scott even posted a picture in support of “City states” that said, “When Cortez arrives in 1519 AD, He [sic] makes his way to Montezuma [and Cortez] soon discovers many cities were vassal with Tenochtitlan the capital city where Montezuma arrives.” City states have been known throughout history, so not only was there knowledge of what was going on in Mesoamerica via Cortez, there should be no problem for the author of the Book of Mormon to incorporate city states into the storyline. Scott is making much ado about nothing. Scott also found it amazing that marriage alliances between kingdoms are mentioned in the Book of Mormon (Alma 17:24, 25, and 47:35), since they were validated 150 years later. Yet again, he is making much ado about nothing. Marriage alliances between kingdoms have been going on throughout history. So again, it should have been no problem for the author of the Book of Mormon to incorporate them into its storyline. Scott is simply confusing the way Mayans measured with the knowledge given to English speakers of how many solar years had passed. There is nothing given in these Book of Mormon passages that mentions a base unit of 20. Nothing in these passages speaks of 20 as a unit of measurement. And even if it did, the vigesimal system has been and is still used around the world. The number 400 may be broken up in either a vigesimal or a decimal system, and again, only a “Mesomanic” would beg the question in favor of the former rather than the latter simply because the Mayans had a numeric term (“baktun”) for 400 in their vigesimal system. If I were to guess, I imagine Scott would claim, “How could Joseph Smith know that the Native Americans were this depraved that they would sacrifice even women and children?” Savage acts have been happening since time began. The Bible is filled with them, including sacrificing children to idols (e.g., 2 Kings 17:15, 17, and 31). Well was the original language “ancient Egyptian with modified Hebrew type of hieroglyphics” or was it Arabic? These are not necessarily the same language. This is hopelessly confused from the get-go. The Book of Mormon has always been known to have been written in a language called “reformed Egyptian” (Mormon 9:32). No non-Mormon scholar accepts its existence. Of course there are possibilities of what it could have been, but no non-Mormon scholar holds that this was a legitimate language ever used in ancient America or anywhere else for that matter. Possibilities do not prove this supposed Book of Mormon language ever existed. Of course Hannah would claim that ancient Egyptian is a form of Arabic. However, the term “ancient” needs defining. The ancient Egyptian that is a form of Arabic only began with the Arab-Muslim conquest of Egypt in the 7th century AD. The ancient Egyptian the Book of Mormon talks about preceded this for hundreds of years. That Egyptian was a Coptic form. Greek was also spoken in Egypt prior to this conquest. So all apparent similarities to the Arabic Egyptian are irrelevant to the question. a system that employs characters in the form of pictures. Those individual signs, called hieroglyphs, may be read either as pictures, as symbols for pictures, or as symbols for sounds. The name hieroglyphic (from the Greek word for ‘sacred carving’) is first encountered in the writings of Diodorus Siculus (1st century BCE). Hieroglyphic, in the strict meaning of the word, designates only the writing on Egyptian monuments. The word has, however, been applied since the late 19th century to the writing of other peoples, insofar as it consists of picture signs used as writing characters. 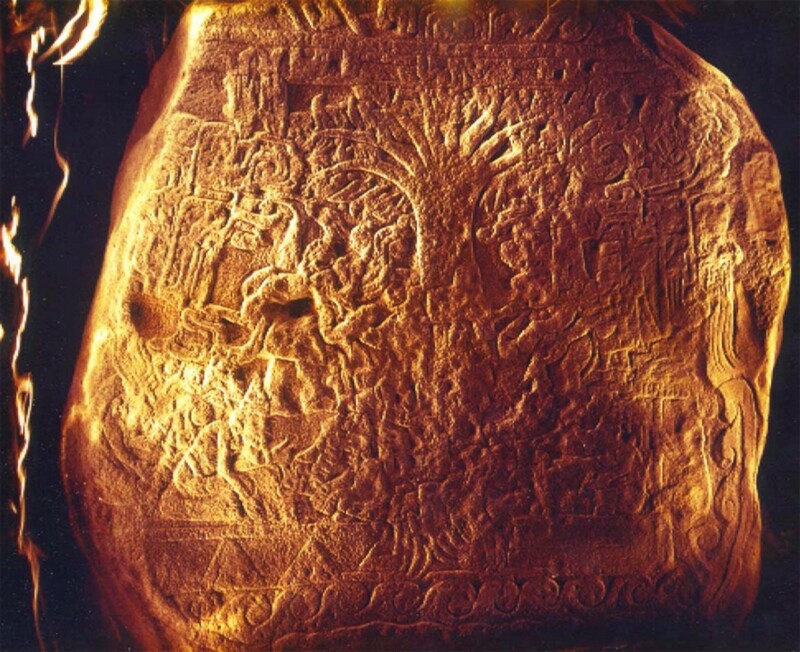 For example, the name hieroglyphics is always used to designate the monumental inscriptions of the Indus civilization and of the Hittites, who also possessed other scripts, in addition to the Mayan, the Incan, and Easter Island writing forms and also the signs on the Phaistos Disk on Crete. Notice that there is no mention of some “modified Hebrew type of hieroglyphics.” Hebrew had its own alphabet long before the 1st century BCE. So the only “modified Hebrew type of hieroglyphics” Scott had to be referring to was by, again, begging the question that Mayans are Hebrews. Hebrew, like the Egyptian Hannah is familiar with, is a Semitic language. So it should surprise no one that Hannah would find Semitic word structures and practices in the Book of Mormon. Why? Certainly not because the original language of the Book of Mormon was written in a Semitic language. It is because the Book of Mormon plagiarizes a great deal from the Old Testament Hebrew scriptures. For example, 21 chapters of Isaiah are copied with slight differences, and these are from the seventeenth century King James Version. The author of the Book of Mormon obviously intended to convey it in the popular biblical language of the time even if it was not the vernacular at the time. This explains the Book of Mormon/King James use of “and it came to pass,” “it must needs be,” “stiff neck,” etc. One of the points Hannah made was that Alma 63:11 doesn’t use the modern term “Jr.” in reference to Helaman, who was the son of Helaman. Well neither did the Joseph Smith Translation of Genesis 50 when Smith stuck in a prophecy of himself in verse 33: “his name shall be called Joseph, and it shall be after the name of his father.” Smith’s modern addition goes against all literary evidence and there is no evidence for it. It is obviously a modern invention out of the mind of Smith. But he knew full well he could not get away with sticking the term “Jr.” there. He had to pass it off in the way the Hebrews would have phrased it. And if he did that there, then of course he would do that with the Book of Mormon. It’s basic marketing. Scott then said that many Mayan scholars affirm that there were six primary Mayan languages with many different forms spoken from 2200 BC to 1519 AD. Then Scott quoted from the Book of Mormon that there were many languages spoken and corrupted (Omni 1:12-18, 1 Nephi 1:2, and Jacob 7:1, 2, 4 and 5). How would Smith know this? How would Smith not know that the Native Americans had a language that was not Hebrew or Egyptian and that these natives spoke various languages? Yet the author of the Book of Mormon intended to concoct a story of Hebrews populating the Americas prior to Columbus. So obviously the storyline would have many languages corrupted from wherever they came from. Scott is fond of quoting the scholars. In this section he made specific reference of Dr. Richard Hansen and Dr. David Stuart. Of course neither of them, nor any other non-Mormon Mayan scholar, would affirm that Hebrew or Egyptian was ever used among these indigenous peoples prior to Columbus. There is no evidence of their use here in that time. Much has been made of the Book of Mormon describing horses, metals, and wheels in the Americas and that their lack of evidence during that time does not support the Book of Mormon. Many have regarded these items as anachronisms. However, Scott attempted to show evidence that some type of horses, metals, and wheels were in fact here after all during the time frame of the Book of Mormon. This picture was very misleading, since The Journal of Book of Mormon Studies claims Mercer’s findings were back in 1895, the bones do not fit the Book of Mormon time frame, and they obviously have nothing to do with the findings of the Carnegie Institution scientists Pollock and Ray in 1957. Scott also showed a picture of a stela from Chichen Itza that had something on it that appeared to him to be a horse. I couldn’t tell what it was. Then he showed a picture of a Baird’s tapir and said that it is known as a “Mexican horse.” Even if that is a true description (“[i]n Lacandon Baird’s tapir has been given the name cash-i-tzimin, which means ‘jungle horse’”), it doesn’t appear those are the types of horses we are looking for, viz., a beast of burden and associated with chariots (e.g., Alma 18:10). Scott also showed pictures of small figures of individuals riding some type of animal. They didn’t look horse-like to me, and even if they were, again, this doesn’t appear to be the type of horse the Book of Mormon has in view. Scott then showed a picture of ancient copper smelter furnaces in Mexico discovered by MIT’s “Dorthey Housler” [sic, actually spelled “Dorothy Hosler”]. This was also a misleading photo, since Hosler work concerns the “Late Postclassic,” which is far past the Book of Mormon time frame. Scott failed to mention that detail. Scott also showed a picture of copper alloy ax heads from Chichen Itza. Again, conspicuous by its absence is any date. Then Scott showed a picture of an iron ax found in Costa Rica. Again, no date and what happened to Mesoamerica? Now we are talking Central America. Ironically (pun not intended), Hosler claimed that metallurgy did not occur in Mesoamerica until 800 AD. Nonetheless, I do think other historical evidence is good that metallurgy existed in the Americas during the Book of Mormon time frame. Scott next showed a picture of toys with wheels on them. Again, no date was given, however, Gordon F. Ekholm confirms that some of these Mexican toys go back until 1500 BC ("Wheeled Toys in Mexico," American Antiquity (April 1946), 11 (4): 222–228). However, Scott admitted that “we don’t see a lot of real artifacts of wheels” and he speculated why that was the case. Like the problem with the horse above, just because the wheel existed on toys doesn’t entail this is the type of wheel we are interested in. The Book of Mormon wheel isn’t a toy wheel; it’s supposedly a wheel associated with beast of burden like pulling chariots. The scientific community does not think these types of wheels were going on in the Americas prior to Columbus. The problem now becomes what was the nature of these chariots. It is only assumed these chariots had wheels to them. However, the Book of Mormon never specifically states that for their use in the Americas. However these problems work themselves out, Scott was playing the role of a defense attorney. 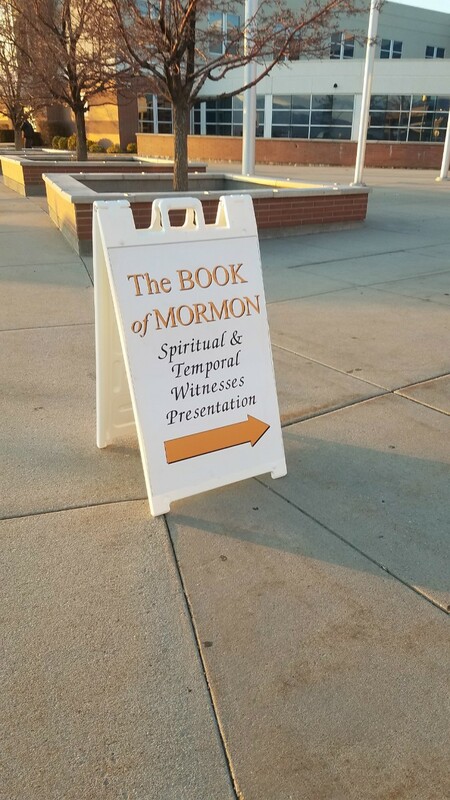 He was causing enough doubt to get the audience to “doubt their doubts” and trust their witness from the Spirit before they give up on the Book of Mormon. I don’t claim to be a scientist, so I’m not going to even attempt to argue the evidentiary worth of every particular case of horses, metals, and wheels that Mormons use to justify their position. I will say that even FairMormon has acknowledged that at least with the issue of Book of Mormon horses, there is a “dearth of archaeological support” and “[t]heories that horses survived extinction after the Pleistocene extinction are viewed as fringe by mainstream scholars and are dismissed.” FairMormon is probably right in its assumption that the problem may be one of “pre-conceived paradigms” which guide the way scientists look at evidence. Now even though I am not a scientist and am not trained in evaluating the claims of science, I have been trained as a philosopher of science and certainly do evaluate claims about science. As such, scientists, just like everyone else, don’t jettison a well-established theory simply based on a small handful of anomalies. To do so would be irrational. If I go to Costco and happen to find my wife in the eating area with another guy, even if she is holding hands with another guy, I would be irrational to conclude my wife is unfaithful to me. Given all the background confirmatory evidence I have of my wife’s devotion to me, it would be simply irrational for me to immediately overthrow that theory in the face of this instance. She could have simply ran into one of her many cousins that I’ve never met before, or she could be providing comfort to someone she just met who has recently lost a child. I would have to play the part of a good scientist and find out to the best of my abilities what exactly is going on before overturning my well-established set of working assumptions. Afterwards, if I still don’t have answers, some items may in fact be rightly shelved to return to some other time. The same goes for these last few matters that Kelly Scott brought up. These matters are best left up to the scientific community to determine, and on the basis of what a guy with brokerage fraud issues has presented, they shouldn’t now all immediately bow their knee to him and be persuaded by the truthfulness of the Book of Mormon. Scott needs to acknowledge to the audience, at least in the case of the horse, that he is offering anomalies. Simply because there is one journal entry that asserts a position doesn’t entail it ought to be regarded as a scientific fact. The author may be wrong about his or her conclusions. We are all fallible after all. There may well be a scientific explanation for why these horse remains, metal objects, wheels were found where they were and there may well be a scientific explanation that makes better sense of the dating. These may turn out to be after the time of Columbus. It is certainly possible that the Book of Mormon is right and the scientific community is wrong about these issues. The scientific community has changed its views many times throughout history. However, just because that is the case it doesn’t entail that one is rational in going against the scientific community merely on the basis of anomalies, misstating the facts, and a certain feeling one takes to be the witness of the Holy Spirit. Let’s say that one day the scientific community determines that horses and wheels associated with chariots were in the Americas during the Book of Mormon period just like they have with metals. So what? Just because what all other non-Mormon scientists used to think was wrong about these items doesn’t entail that we should now all believe the Book of Mormon is legitimate. Why? Because the evidence points to the fact that the author of the Book of Mormon created its storyline. Getting lucky on some items doesn’t entail the story is historical otherwise Solomon Spaulding’s Manuscript Story should also be regarded as history when it mentioned horses prior to Columbus. (Having said that, I am not endorsing the Spaulding theory.) Yet no one regards that as history. So much more work needs to done in determining if a document is to be regarded as historical.